What a very, very interesting development this is. 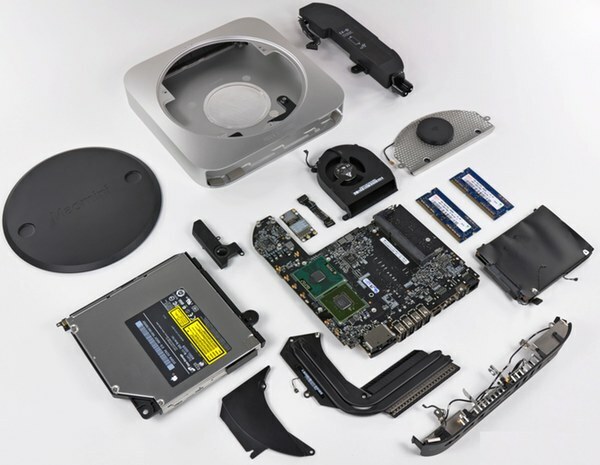 Assuming it is true that the Mac mini will indeed be assembled if not “Made in USA,” the mind literally reels as to the reasons why Apple chose this particular product. Yes, Apple has been assembling at least some 2012 iMacs in the US. Further, Tim Cook told NBC’s Brian Williams that the company would begin making one Mac product line in the US, though nearly everyone assumed that would be the Mac Pro, which is relatively easy to put together and carries high margins. DigiTimes claims that Apple will make the Mac mini in the US and that Chinese manufacturing partner Foxconn (a.k.a. Hon Hai) will do the honors at some still unnamed location. In 2012, it’s believed that Apple sold 1.4 million Mac minis and that 2013 could see unit volume hit 1.8 million. As noted above, nearly everyone expected Apple would produce the Mac Pro, a full tower PC with a high selling price that starts well North of $2,000. The Mac mini is, however, an entirely different beast — tiny (i.e. more difficult to fabricate and assemble) and priced from $599. Now, if Apple can make the Mac mini in the US using automated processes, it certainly wouldn’t take a Great Leap Forward to produce the company’s iMac, MacBook Pro, MacBook Air and, of course, Mac Pro here, as well, would it? Seriously, whereas some people think of the Mac mini as a headless desktop, its internals and design more closely resemble Apple’s portable Macs, making it rather more of a headless notebook.